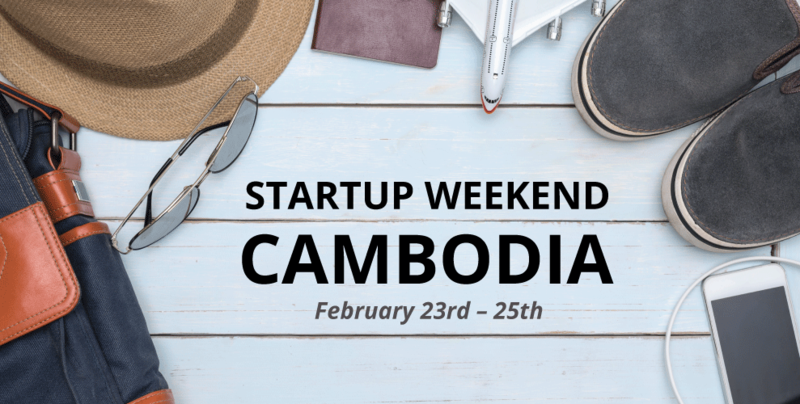 An idea for electric-powered bicycle rickshaws was chosen as the winner of February’s Travel & Tourism themed Startup Weekend Cambodia in Siem Reap, which appealed to the judges with a focus on clean energy, convenience and business potential. For 54 hours in February, nine teams competed to win a spot at the Mekong Innovative Startups in Tourism (MIST) Accelerator Bootcamp happening at Ho Chi Minh City in May, and six months of mentorship and networking with industry and business experts, investors and innovators. MIST director Jason Lusk said the judging decision came down to impact, scalability and innovation. The Cyclo team presented their offering of clean-energy bicycle rickshaws as filling a gap in the current transport offerings, and allow visitors to enjoy the temples at a leisurely pace and in a unique way. Siem Reap Walks was given the “best validated” prize for its tourist website idea, providing amongst more traditional services a live-chat function to answer tourists’ questions. The team’s focus on involving local travel companies in the process of assisting tourists was of particular interest to the judges. “Coming here showed me how to go out and prove my ideas. I’m so excited, and I really want to make it happen because it is my passion,” said team member Proeun Panhary, a 21-year-old student. Startup Weekend Cambodia gave many like Hean Kimheang the opportunity network, brainstorm and develop their ideas. “As someone with less education than some others here, I don’t know how to start my own business. But this is my idea, and now I have a talented team of two developers and a business student, and we want to try to grow and possibly find funds,” he said. His team proposed setting up tours for older travellers to experience how Cambodians their age live in the Cambodian countryside. They had the opportunity to hit the streets with their ideas and receive feedback from potential clients and business partners, before returning and creating proof of concepts such as websites and apps. Some 70 percent of participants who attended this year were Cambodians from Siem Reap Province, and all left the three-day event with new ideas, increased confidence, and a greater understanding of how to develop ideas into businesses.